House prices in Luton crept up by 0.4% in December, despite witnessing a 0.6% fall over the last 12 months. The latest data from the Office of National Statistics shows that the average property in the area sold for £239,607 – slightly above the UK average of £230,776. Across the East of England, property prices have risen by 0.2% in the last year, to £289,602. The region underperformed compared to the UK as a whole, which saw the average property value increase by 2.5%. 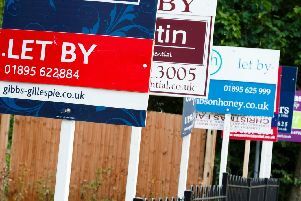 The average homeowner in Luton will have seen their property jump in value by around £87,000 in the last five years. The figures also showed that buyers who made their first step onto the property ladder in Luton in December spent an average of £212,042 – around £77,000 more than it would have cost them five years ago. Looking at the national picture, Frances Clacy, residential research analyst at estate agents Savills, said: "House prices across the UK increased by 2.5% in 2018 leaving them at an average of £230,776. This compares to average increases of 4.5% and 5.2% in 2017 and 2016, respectively. "The figures are in line with our mainstream house price growth forecasts for the five years to 2023, which represent a small closing of the gap between London, the South East and other regions. "That said, the gap remains wide – the average house price in London is £473,822 compared to £164,352 across the North West, the region we expect to show the strongest growth over the next five years. "In the short term, sentiment will remain the primary driver of house price movements and the economic implications of Brexit, and what this might mean for household finances lies at the heart of this. We are anticipating growth of around 15% across the UK as a whole." Between November 2017 and October last year, the most recent 12 months for which sales volume data is available, 2,358 homes were sold in Luton, 16% fewer than in the previous year. The highest house prices in the country in December were found in London's Kensington and Chelsea, where properties sold for an average of £1.39 million – 17 times the cost of a home in Burnley, where the average property cost just £84,000.